Neuromuscular dentistry is a specialty branch that focuses on the temporomandibular (jaw) joint and the myriad disorders that can affect it. Collectively, disorders of the jaw joint are known as TMJ and, while there are a number of causes of these disorders, pain and generalized discomfort are frequently the result. Neuromuscular dentistry is used to diagnose this common disorder and to provide effective treatments that produce lasting relief. If you are suffering from any of the symptoms of TMJ in Hayward or surrounding areas of California, please contact neuromuscular dentist Gary G. Fong, DDS online or by calling 510-582-8727 today to schedule a comprehensive evaluation. TMJ symptoms may include clicking or popping in the jaw, pain when opening and shutting the mouth, isolated jaw pain, generalized facial pain, and even chronic headaches. However, TMJ may be periodically asymptomatic as well. With or without symptoms, Dr. Fong can detect this disorder through a combination of hands-on examinations and diagnostic tools. TMJ is a result of jaw misalignment. When misalignment is pronounced, it can easily be detected though manual examinations. To fully determine if TMJ is present, Dr. Fong may also use specialized machines that can identify even the slightest misalignment and indicate if treatment is necessary. It is often best to treat TMJ even when it is asymptomatic. Ignored, this disorder can quickly produce significant discomfort and even have serious systemic consequences. Neuromuscular treatments for TMJ focus on restoring proper alignment to the jaw. Dr. Fong may accomplish this with night guards or customized orthotics that work to simultaneously retrain muscles while ideally positioning the jaw. Treatment can often be bolstered by jaw exercised, stress reduction and, when necessary, muscle relaxing medications. What steps are best in your case will be determine during your neuromuscular treatment consultation with Dr. Fong. To schedule your consultation at our Hayward, California office, please contact our experienced neuromuscular dentist today. 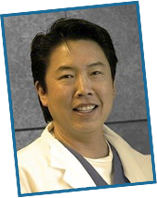 Dr. Fong serves Hayward, Castro Valley, and surrounding areas of California.